A young and enterprising musician, Maximilian Fane was trained at The Royal Conservatory of Scotland in Glasgow and received the prestigious Peter Morrison award. 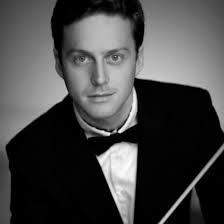 Max comes from North England, works as a conductor as well as tenor, concert organizer, English and Italian music teacher and amateur teacher. He spent a part of his childhood near Umbertide and loves Italy, so he studied shows, culture and music to come back and spread this acquired love of his among his fellow countrymen. In Florence, with Roger Grenville, he is preparing the second edition of the New Generation Festival at the Giardino Corsini to be held at the end of August and will stage a new version of Mozart’s Don Giovanni.